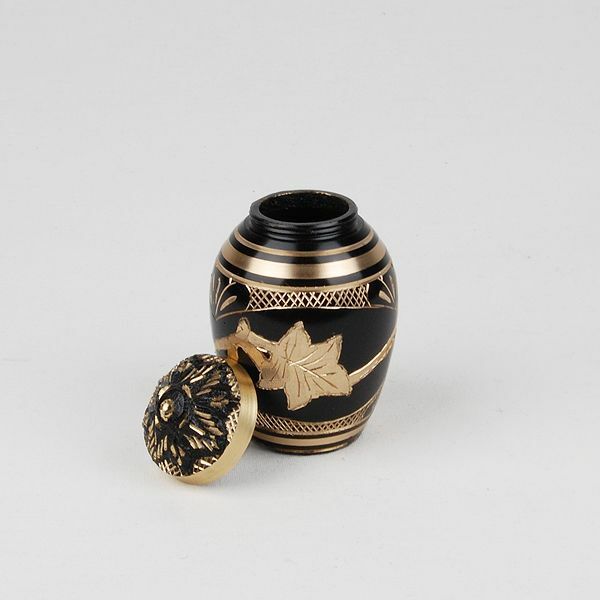 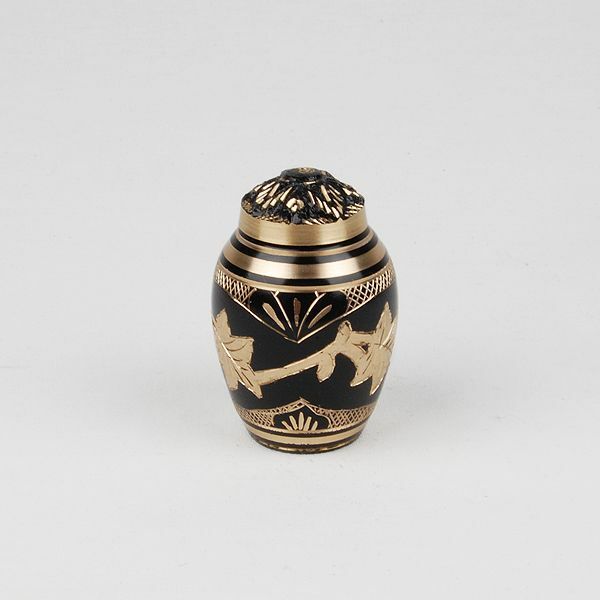 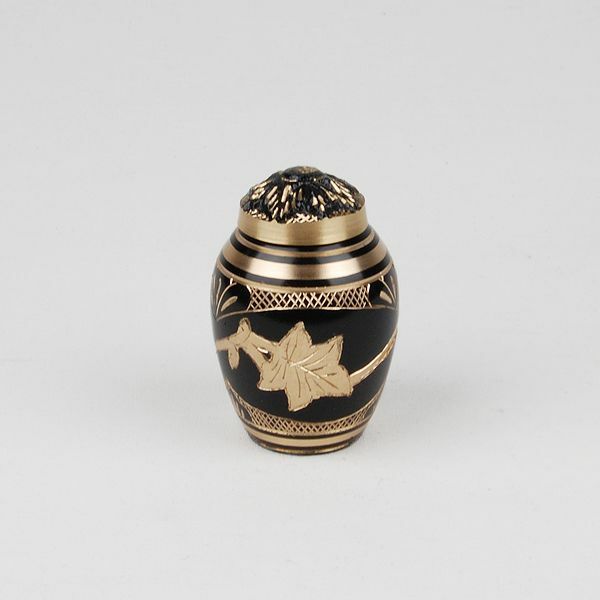 The Black Toledo brass token cremation urn is crafted in the shape of a classic style vase with an enamel finish and an engraved, gold leaf design. 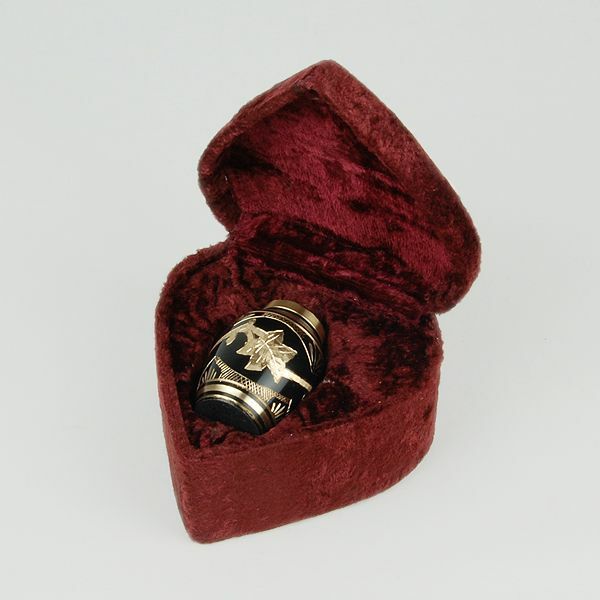 It has a threaded, top-opening lid. A velvet heart-shaped box is included.